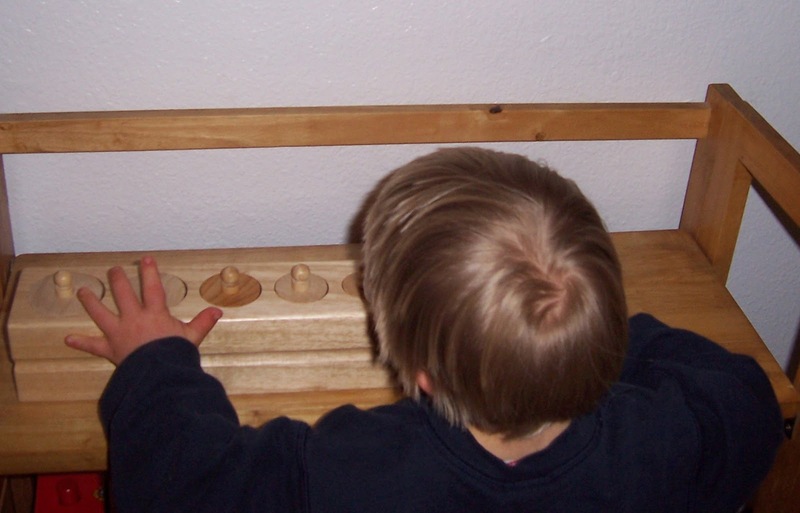 I have just started to prepare for homeschooling my two and five-year-old in the Montessori Method. 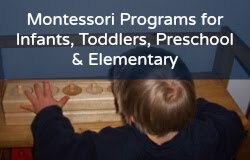 My daughter did attend a Montessori preschool last year but it is no longer feasible. I have already started to prepare my environment and made all my Practical Life lessons for my two-year-old. I have limited resources so I need to know what Sensorial equipment that can’t be made and which is absolutely necessary to buy. Please help. 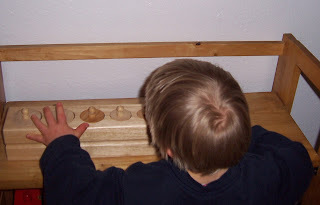 If you cannot spend a lot of money on the Montessori Sensorial materials, yet, or your toddler is not quite ready for them (and your five-year-old is outgrowing her sensitive period for them) making Practical Life activities is ideal for your toddler! Back to sensorial activities: there are affordable stacking blocks you can buy (they actually "nest" into each other but you can turn them over and build a tower with them); or any nesting materials (like nesting cups). 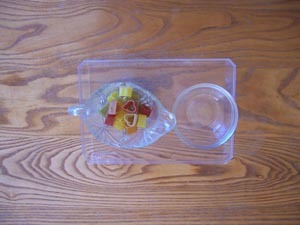 To make them easier for your toddler, use only three or four of a large set. Matching works like fabric or baby socks are great for a two-and-a-half to three-year-olds (a five-year-old can do some sorting activities blindfolded). You can make your own smelling bottles and sound cylinders with old plastic film containers, empty seasoning bottles, or baby food jars. If you have clothes pins, sort them by color and pin them onto a container. 1. Sponges for cleaning spills. When to buy/make: Your toddler has the fine motor skills to squeeze out a sponge. 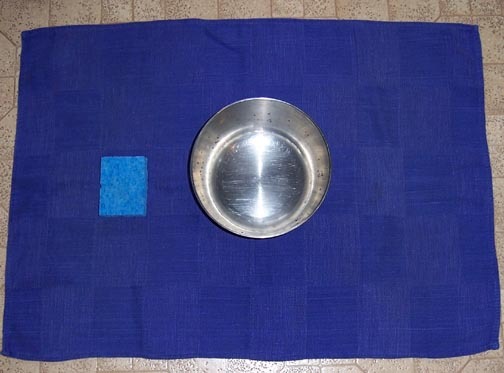 Test this skill at bath time or during outside water-table play! 2. Dry pouring activity. When to buy/make: Your toddler shows an interest in pouring, especially while eating, like pouring out her cup of milk! Put out a dry pouring activity. Wait and see if your toddler shows any interest! Remember to use large pasta or large objects for pouring, and test it out yourself, first. 1. Stacking Boxes. 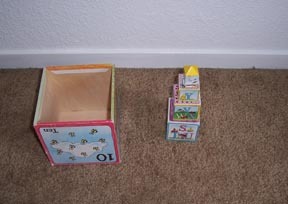 When to buy/make: Your toddler stacks and or piles objects around the house, like books, blocks, containers, shoes, food containers, cups...If you don't want to afford a Pink Tower from a Montessori supplier, try an alternative stacking activity, like wooden stacking boxes (harder to use because they are hollow, so use three or four to start out with). You can also buy decorated cardboard stacking boxes. 2. Pink Tower: You can use four to start with. 3. Cylinder Block One: differs in two dimensions, height remains the same. Language: thick, thin. Your five-year-old can do most Sensorial activities using a blind-fold. Montessori Sensorial materials recommended for four-year-olds: Smelling Bottles, Sound Cylinders, Geometric Cabinet and Cards, Thermic Bottles, Color Box 3, and Baric Tablets. You may also be interested in my Montessori and homeschool ebooks, PDFs and programs at Montessori for the Earth.